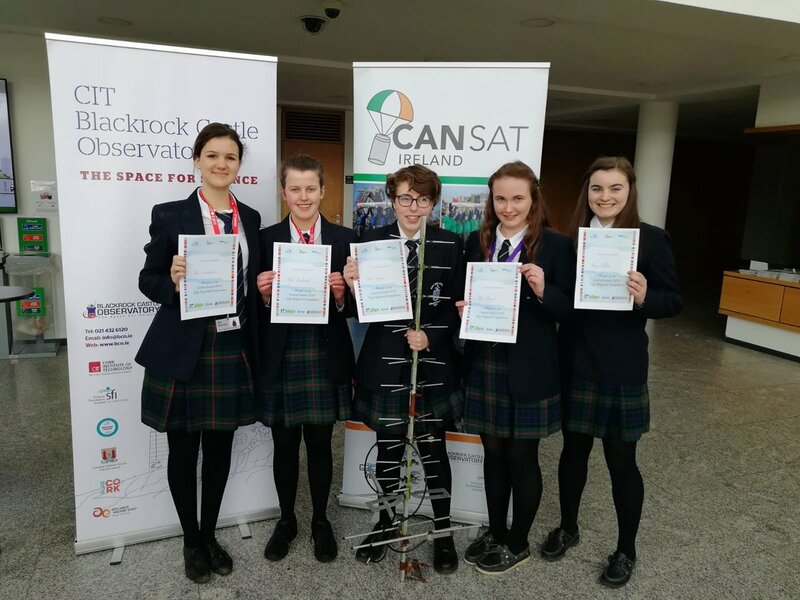 Five students from Ursuline College Sligo have qualified for the National finals of Cansat which is being held in Portlaoise later this year. 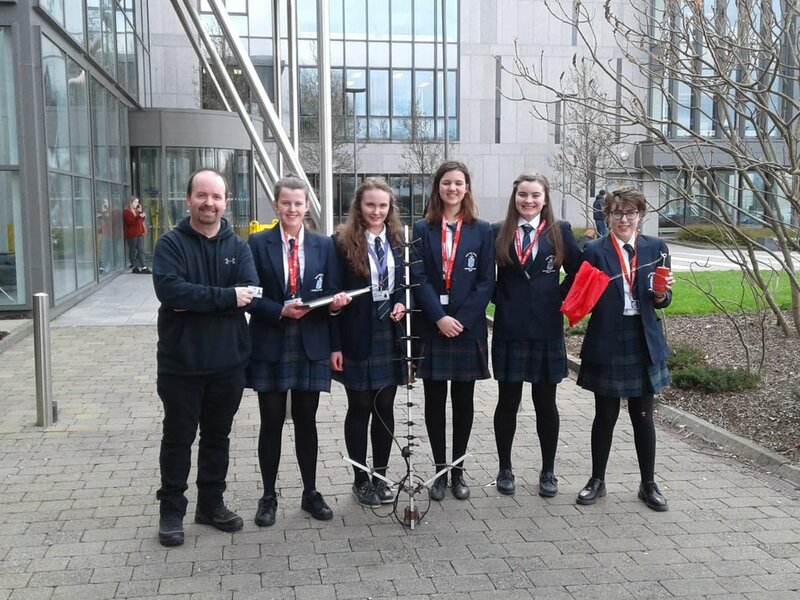 The students are Ellen Woodward, Nuala Kerrigan, Tori Monahan, Maura Madden & Adela Zinschitz who participated in the regional Cansat competition on Monday 1st April at IT Sligo, where they impressed the judges with an excellent presentation and display of their satellite launch and recovery. This project involves the construction and data acquisition of a satellite sensor module. 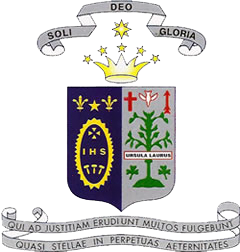 It is run under the guidance of the European Space Agency and the Blackrock Observatory in Cork. The National finals will see teams from every regional final compete for a place to represent Ireland in the European Cansat Competition which will be held in Italy, during the Summer.